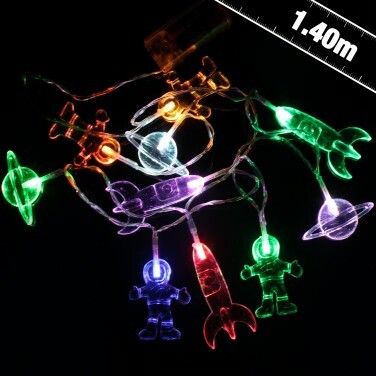 Lit by colour change LEDs, these space themed string lights are out of this world! 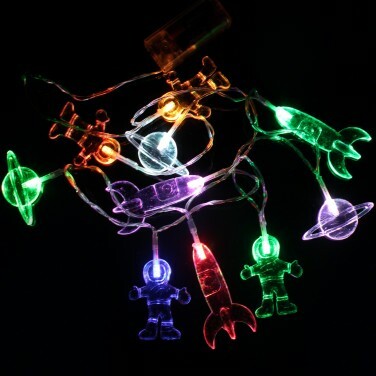 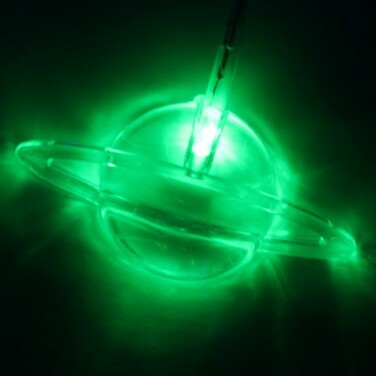 Space mad kids will love these fab space themed LED string lights that shine through a soothing colour change! 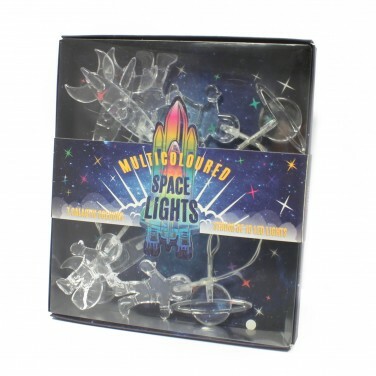 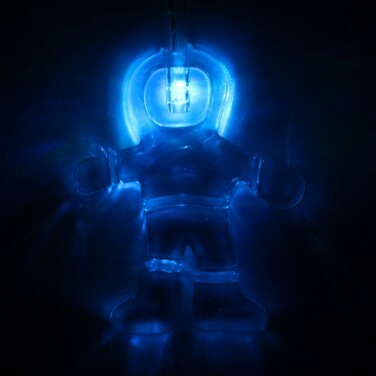 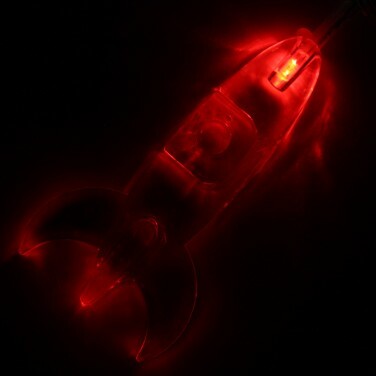 Acrylic rockets, spacemen and planets are each lit with a colour change LED that shines throughout the shade casting a striking colour change effect onto surrounding surfaces. 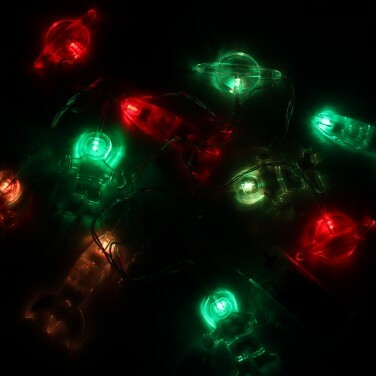 Battery operated, these decorative lights can be placed anywhere for subtle lighting that will mesmerise with their soothing colour change.